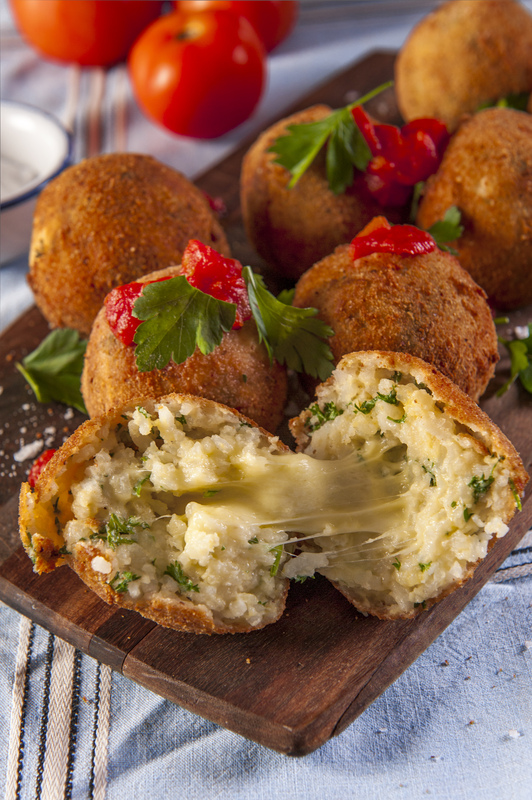 Sabina’s Arancini Balls are made to Sabina Brizzi’s recipe – a long time friend of La Casa Del Formaggio. 1 Cook the arborio rice according to packet instructions, then set aside to cool. Make sure you put cooked rice in the refrigerator if you are leaving it for more than 30 minutes. 2 To make the balls, mix the rice with the roughly chopped parsley to give good coverage of flecks of colour in the finished balls. Now it is time to add in the grated cheese. This can be Parmesan or Pecorino, depending on your taste. Experiment here with a blend of both if you like. Mix the grated cheese in with the rice and parsley, adding one or two eggs to bind as needed. It may need one or two eggs, depending on the texture of the mixture. Season as you mix using salt and pepper. 3 Once you have the right texture, you should now be able to roll the mixture into balls. The tradition handed down in our family is to hand-roll the balls very big – perhaps almost as big as a tennis ball. 4 The balls are now ready for the hero cheese. 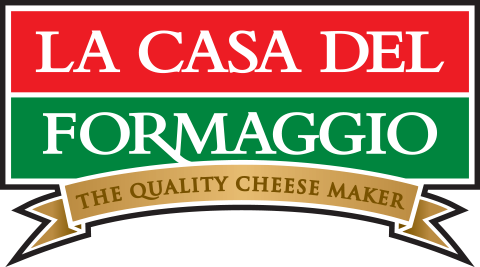 Cut the Mozzarella into 15 millimetre sized cubes and push them into the centre of the balls. 5 When all of the balls are ready for crumbing, set up three stations; one with a shallow bowl of flour for dusting, one bowl for an egg wash and the third for the breadcrumbs. To make the egg wash, beat two eggs and add one quarter of a cup of milk. 6 Roll each ball in flour first, then the egg wash, and then the breadcrumbs. 7 Add olive oil to a fry pan to about three centimetres deep and place over a medium heat. Shallow fry the balls in the fry pan, turning often until uniform and brown. 8 Serve hot with a red sauce.